Create a clutter free kitchen with the inventive selection of Drawer Accessories from Rev-A-Shelf. 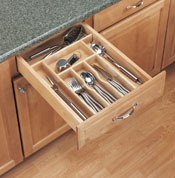 Organizing is simple with great products like Cutlery Trays, Utensil Trays, Universal Spice Racks, and Bread Drawers. 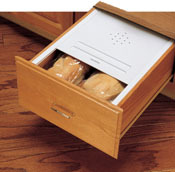 Many of the products listed can be trimmed to fit our various size drawers.